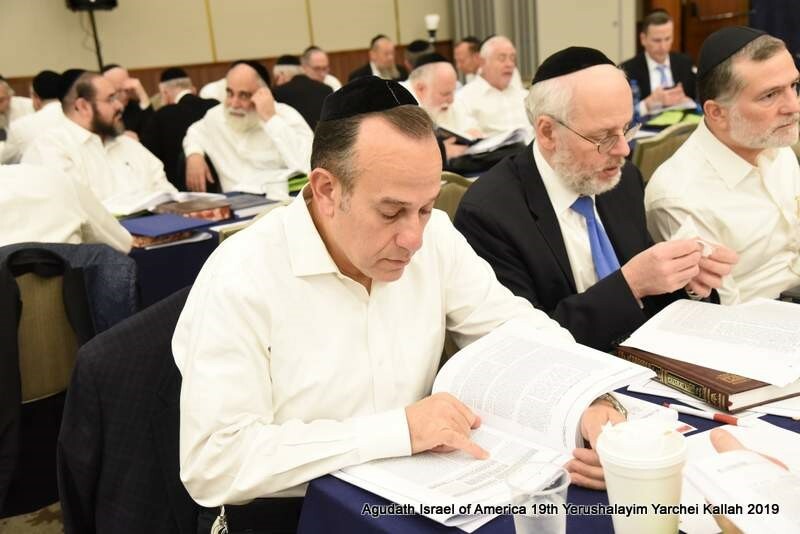 The enthusiasm was palpable as the second day of Yarchei Kallah learning opened on Tuesday, delving even more deeply into the subtleties of permitted and forbidden foods, deeply nuanced parameters enacted by Chazal to preserve the integrity of the Jewish nation. 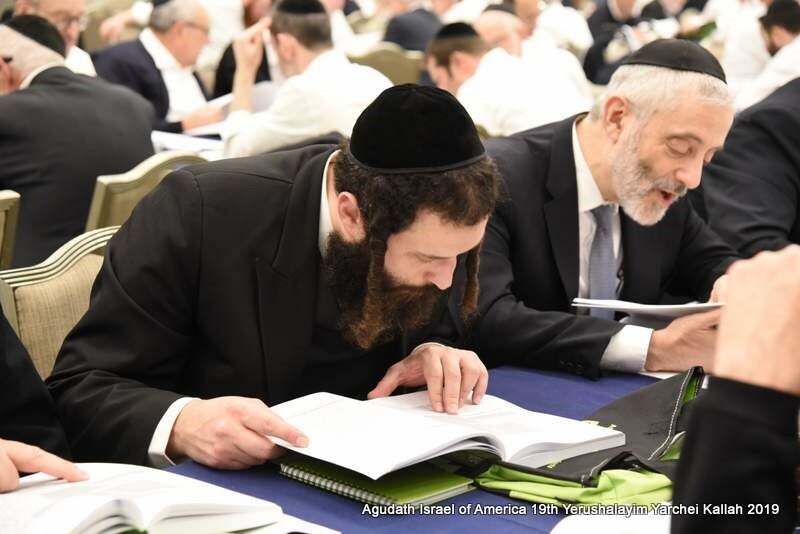 After early morning Daf Yomi shiurim, said respectively in Yiddish and in English by HaRav Naftali Prizant, Rosh Mesivta, Yeshiva Gedola Chechnov, Maggid Shiur Daf Yomi, Tiferes Menachem, Boyan, and in English by Rabbi Moshe Elefant, noted Daf Yomi maggid shiur, participants davened Shachris and headed to the Beis Medrash to begin preparing for another eye opening day of learning. 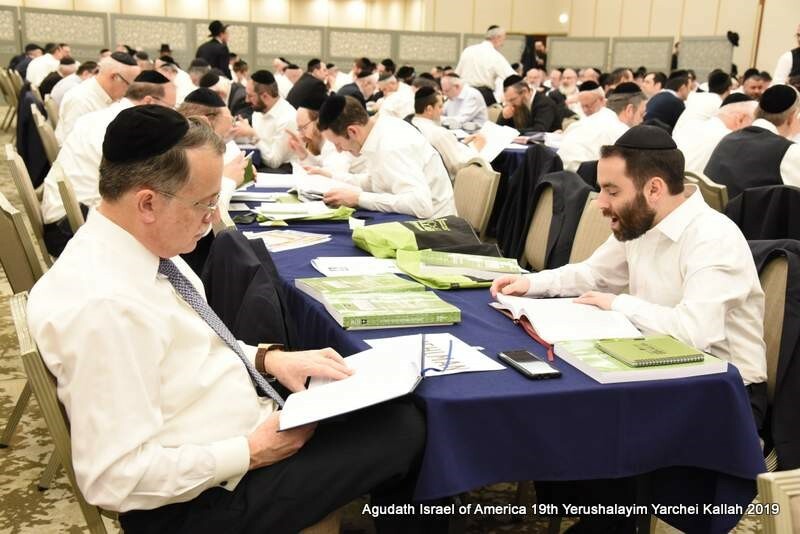 The well-attended daily hachanah shiur given by Rabbi Shlomo Gottesman, editor of Yeshurun and co-chair of the Yarchei Kallah, was followed by the morning shiur iyun. 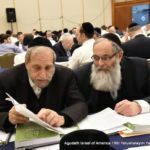 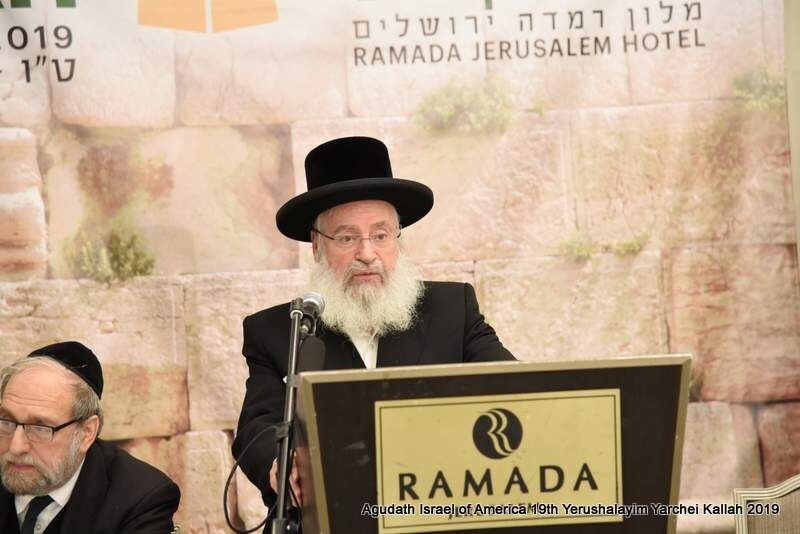 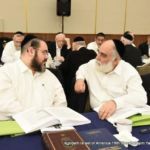 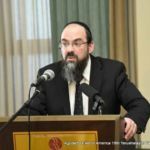 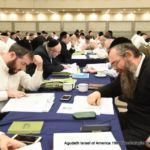 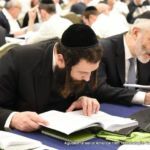 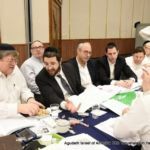 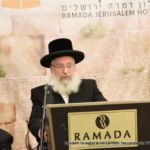 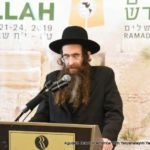 With his trademark warmth and smile, HaRav Boruch Dov Povarsky, Rosh Yeshiva, Ponovez, one of the most beloved and senior Roshei Yeshiva in Eretz Yisroel, took Yiddish speaking participants on a detailed journey through the concepts of yayin nesech and its relationship to avodah zarah, drawing on various sources including the Gemara, the Rambam, the Ramban, and the Shulchan Aruch. 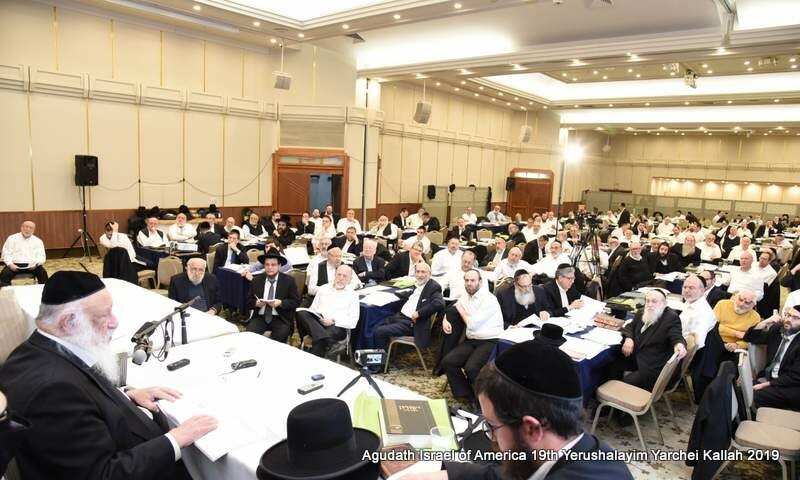 Extra chairs were brought in to accommodate the overflow crowd as HaRav Moshe Aron Friedman, Rosh Mesivta, Yeshivas Mir Yerushalayim, delivered the English shiur, elucidating numerous issues related to bishul akum. 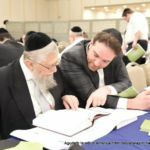 The afternoon included Minchah, a chazarah shiur given by Rabbi Shlomo Cynamon, Rav, Khal Bnai Torah, Flatbush, and another hachanah session, before a powerful two part shiur led by HaRav Asher Weiss, Av Beis Din, Darchei Hora’ah, Rosh HaYeshiva, Yeshiva Darchei Torah. 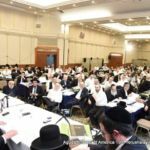 Organizers had to reconfigure the room to accommodate an attendance of more than 500 people, the largest number ever to attend a Yarchei Kallah shiur, as Rabbi Weiss gave the second of a two-part presentation on the intricacies of bishul akum and pas akum, followed by a dynamic panel discussion on contemporary halachic issues in kashrus featuring HaRav Aaron Goldmunzer, Skvere Dayan, Yerushalayim, and Rabbi Menachem Genack, Rabbinic Administrator, OU Kosher, that lasted for two and a half hours and touched on a wide array of topics including coffee, sushi, cultured meats grown from cells, induction ovens, potato chips and much more. 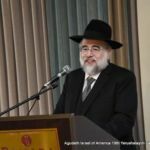 A heartfelt Maariv gave way to an emotional siyum on Maseches Avodah Zarah in memory of HaGaon HaRav Chaim Yisroel Belsky zt”l, Rosh Yeshiva of Yeshiva Torah Vodaath, Rav of Camp Agudah for decades and a leader in the halachic aspects of kashrus, whose yahrtzeit will take place on Friday. 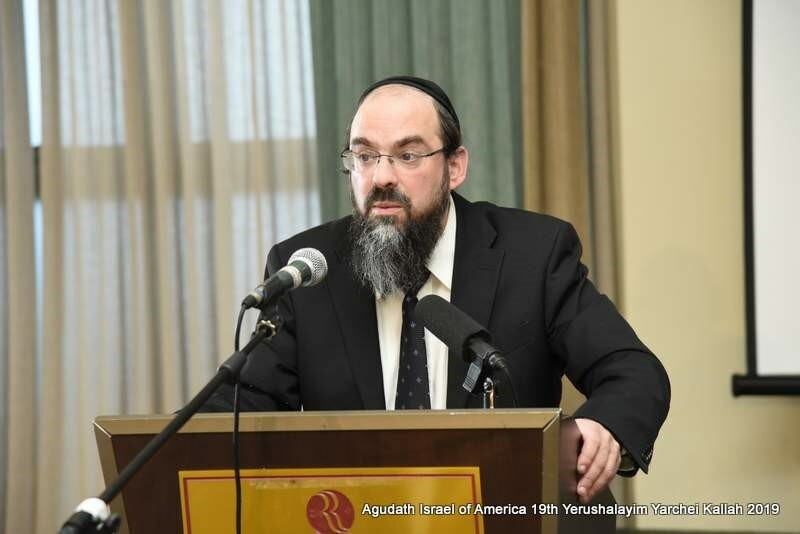 The siyum was made by Rabbi Gedalia Weinberger, chairman of the Yarchei Kallah and a magid shiur through several Daf Yomi cycles, and was followed by a fascinating remembrance of HaRav Belsky, given by Rabbi Elefant, giving over many of Rabbi Belsky’s piskei halachah. 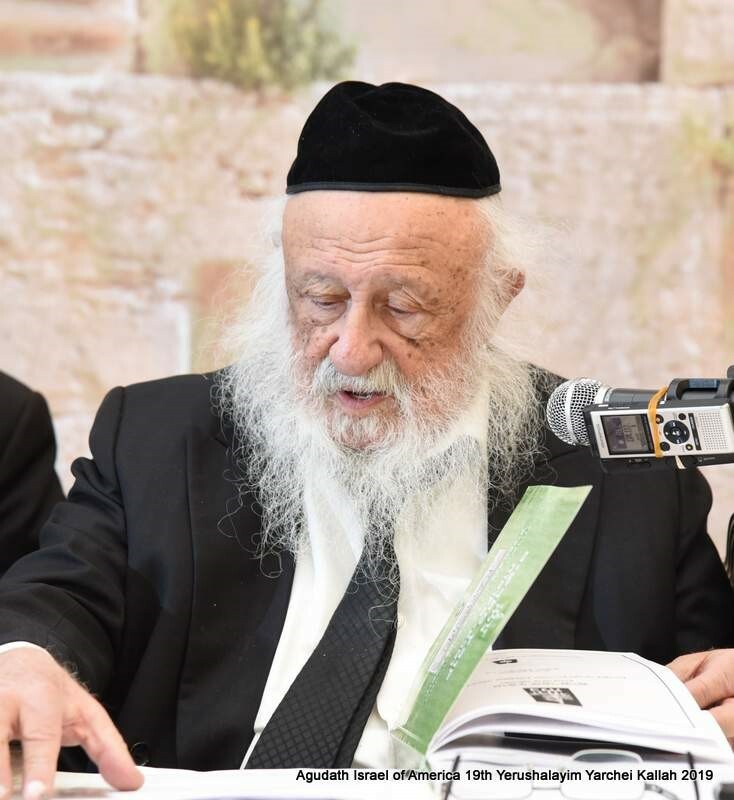 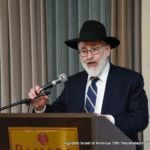 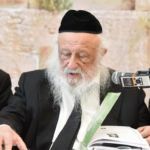 HaRav Elimelech Belsky shared his recollections of his father’s character, including his boundless simcha in Torah and his passion for kindling true joy in others. 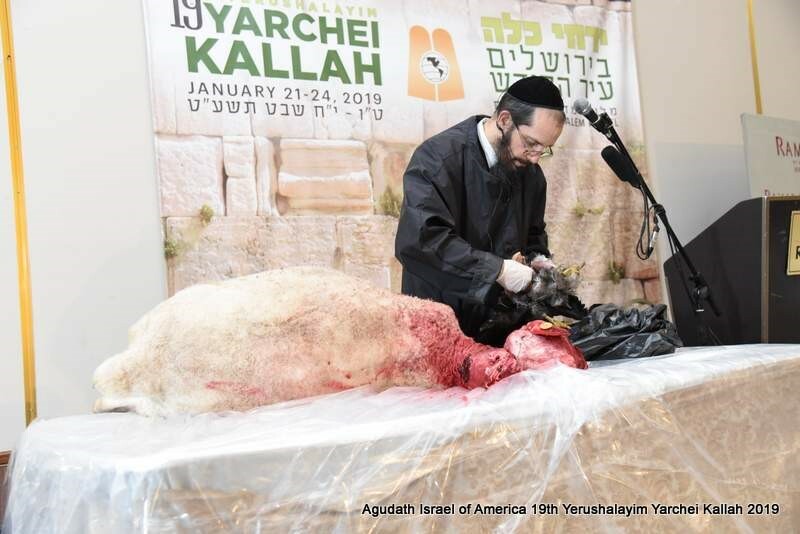 HaRav Amitay Ben David, mechaber of Sefer Sichas Chulin, presented the Daf Yomi Commission’s Global Chullin Initiative, which took place in 22 cities and was livestreamed to many thousands, showing each part of the animal and bringing enormous clarity to these complex halachos. 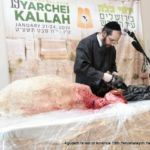 The Yarchei Kallah’s women’s track had an equally busy day, leaving the hotel at 9 AM for a trip to Shiloh to spend time at various Biblically significant locations, including the site where the Mishkan stood for 369 years, and Sela Yaakov, the rock that was formed from 12 smaller stones as Yaakov Avinu dreamed of angels ascending and descending a celestial ladder. 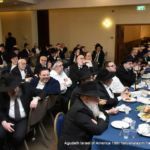 The group also toured the Eretz Binyamin Center and the Psagot Winery before stopping on the way back to the hotel to daven at the kever of Shmuel HaNavi. 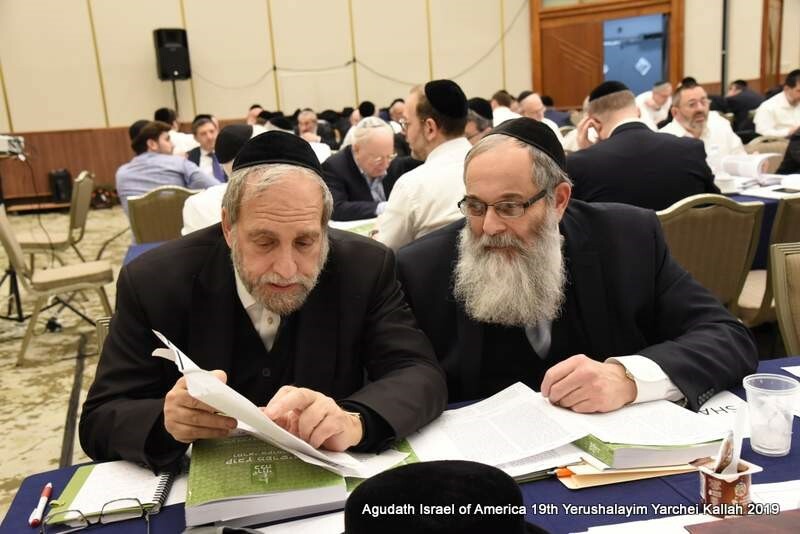 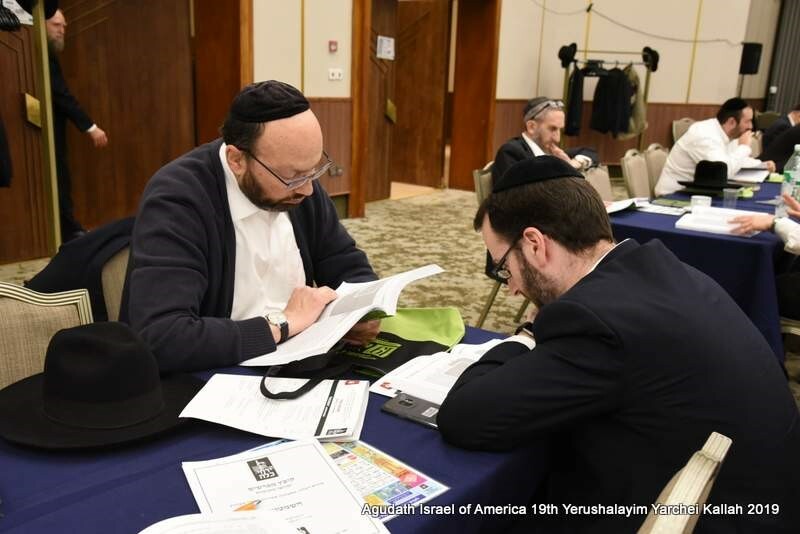 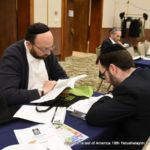 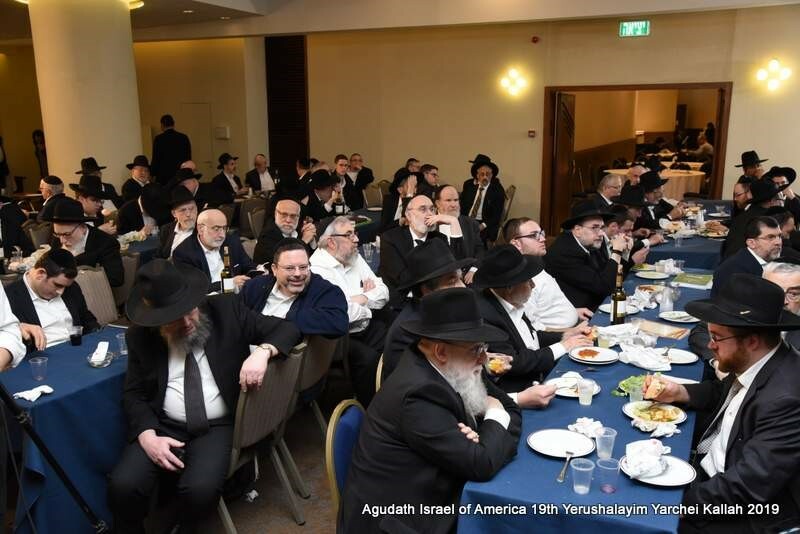 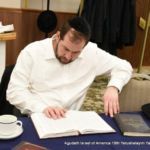 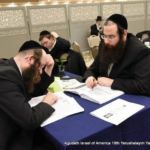 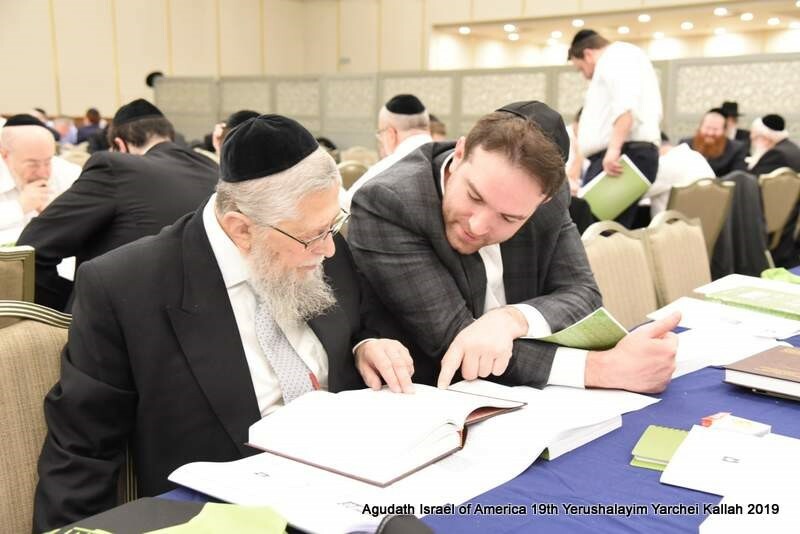 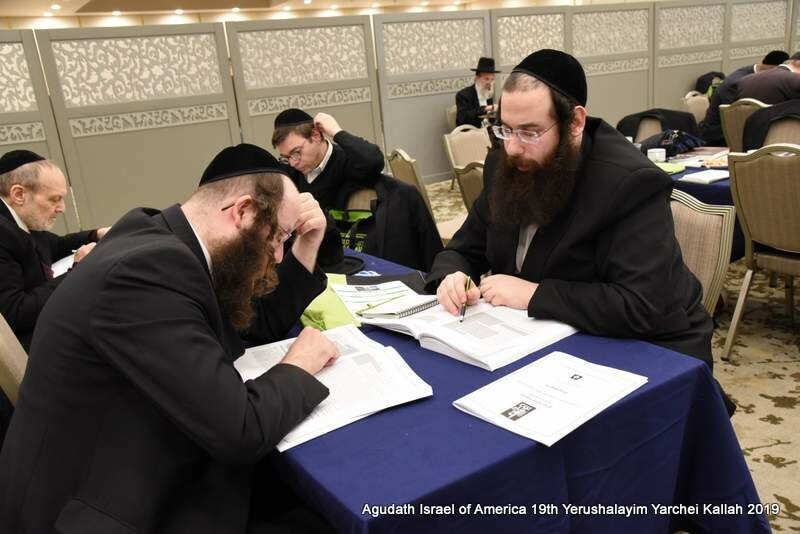 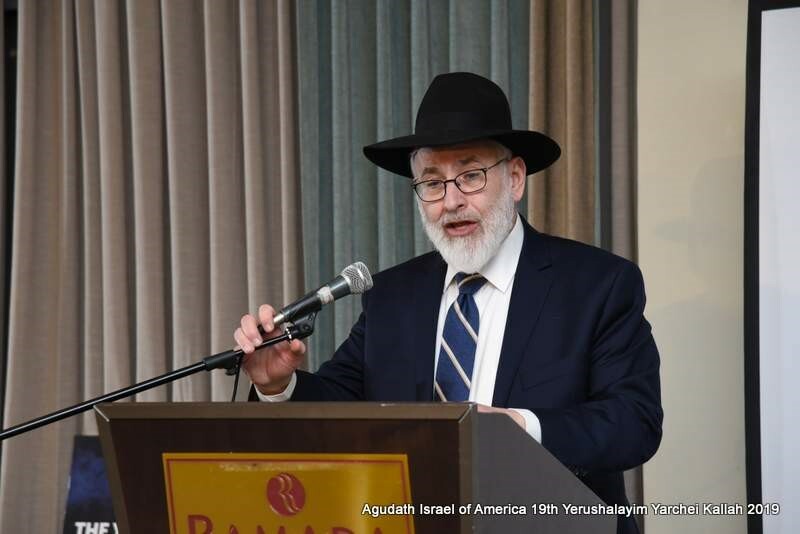 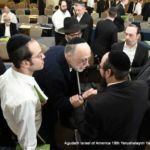 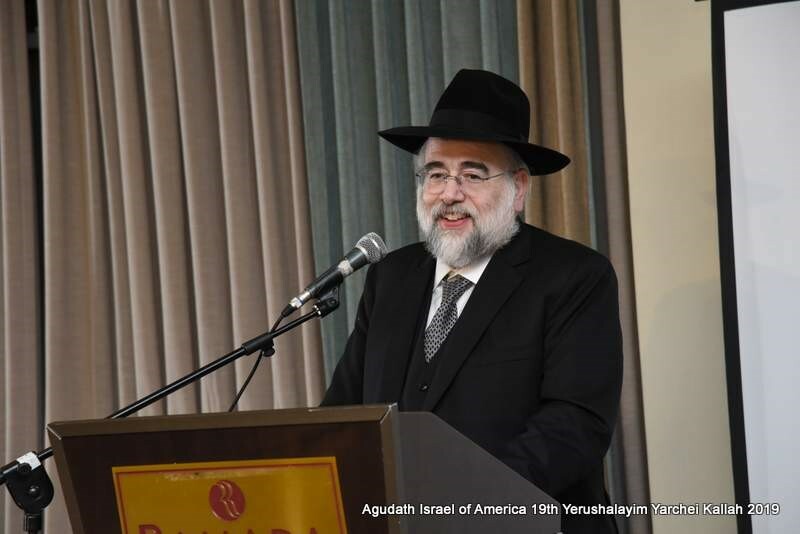 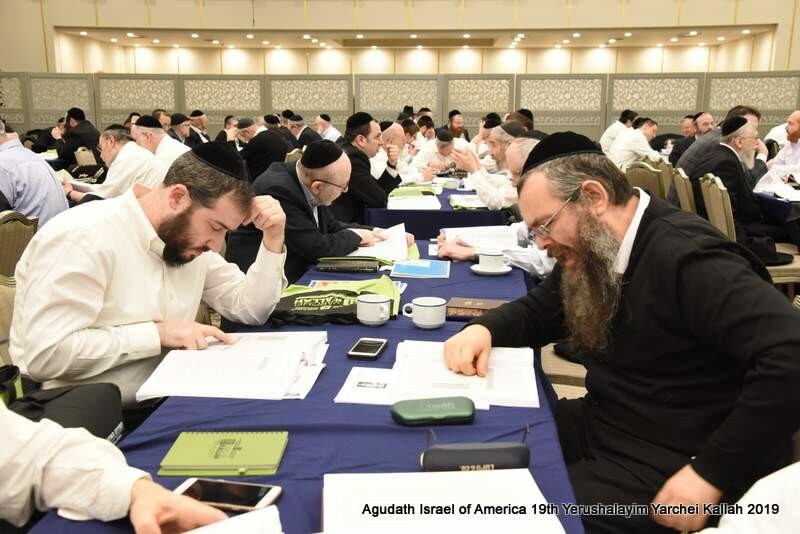 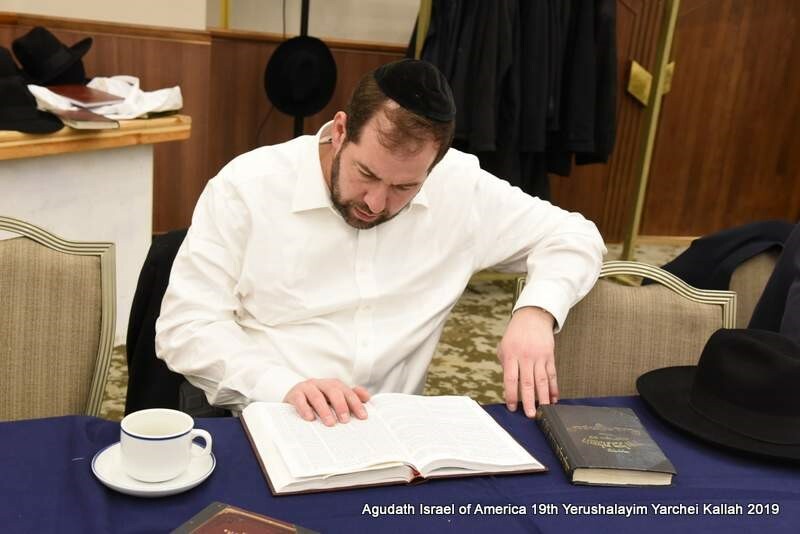 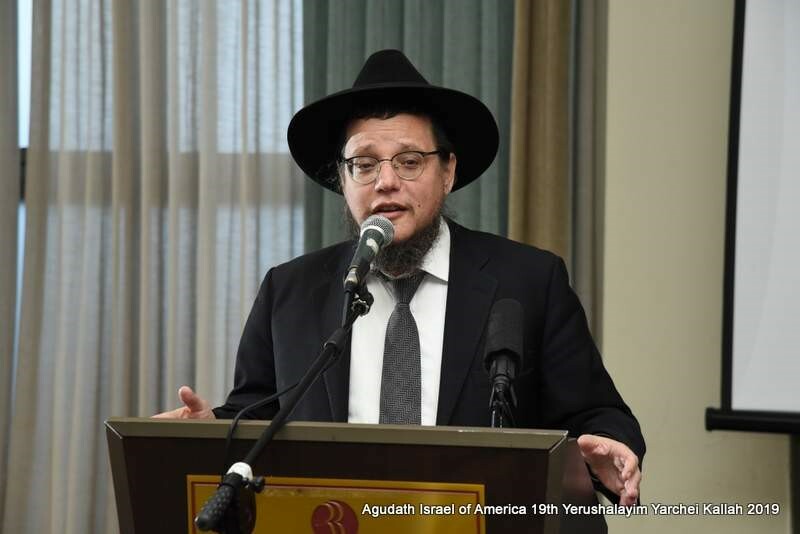 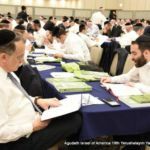 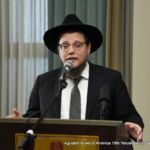 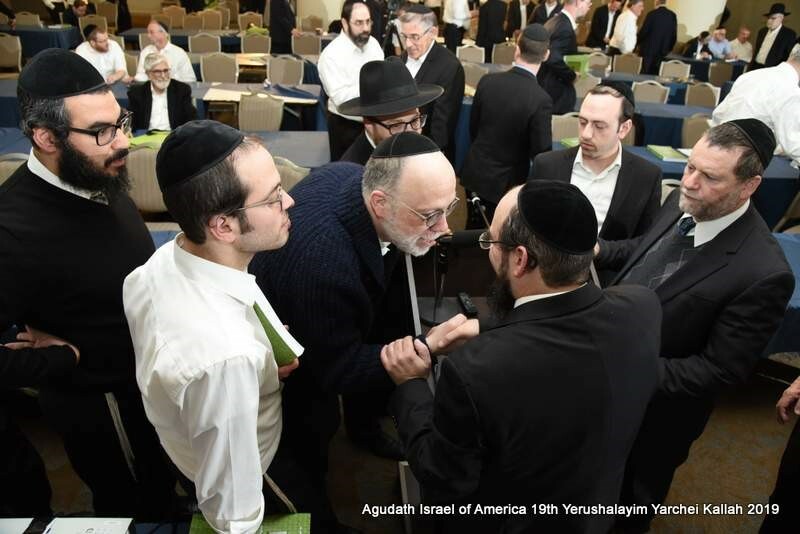 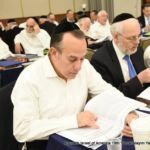 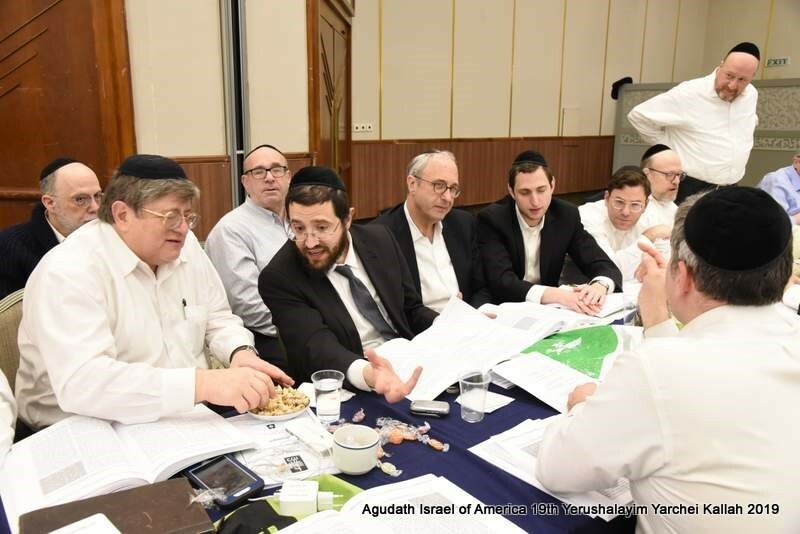 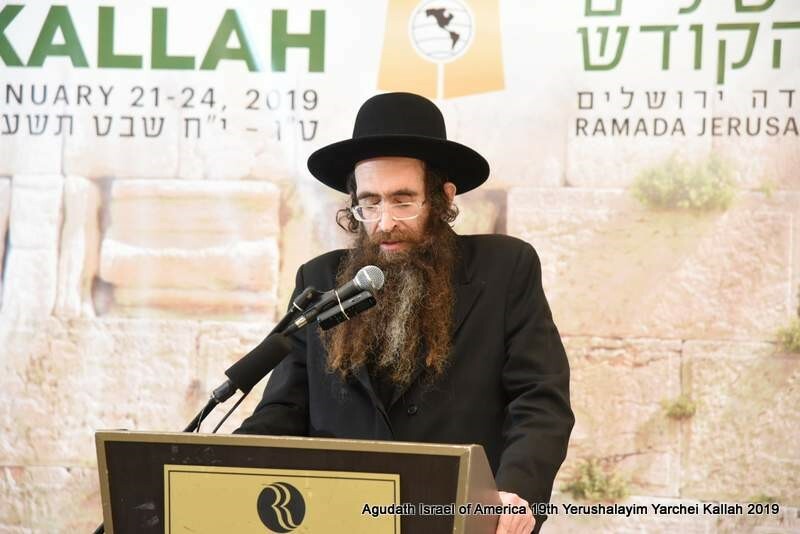 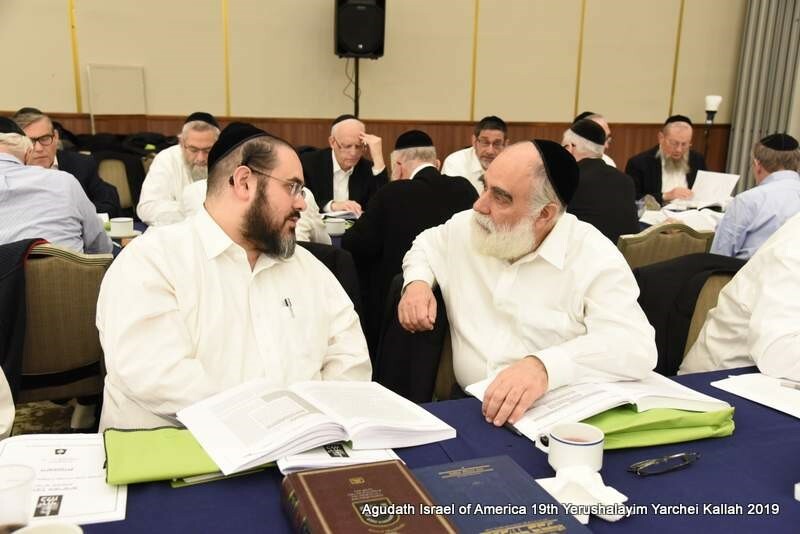 As the Yarchei Kallah passed its midway point, Rabbi Eliyahu Simcha Bamberger, national director of the Agudah’s Daf Yomi Commission and one of the Yarchei Kallah’s organizers, commended participants for the intensity that has carried them through the long hours in the beis medrash.